Proline is a showcase of STIHL products and services for commercial customers. On this page you will find real stories from end users and industry information, as well as new products and technologies from STIHL. STIHL partners with Mark Chisholm to help bring Arborist workshops to the Arborist community. 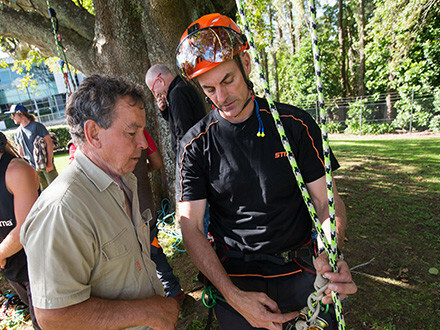 STIHL New Zealand has been bringing Mark to New Zealand for a number of years to do workshops with the Arborist community in NZ. 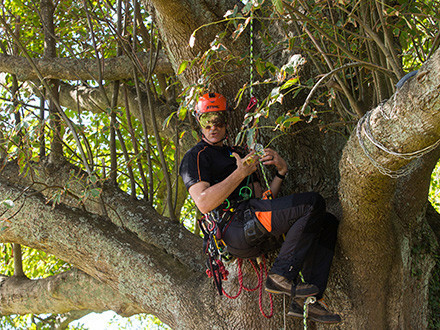 One part acrobat, one part expert rope climber, one part tree physiologist, and several parts competitor and thrill seeker, Mark Chisholm is a third-generation, certified arborist with his family owned Aspen Tree Expert Company in New Jersey. His expertise in tree care has made him a sought-after consultant and industry spokesperson for the world of arboriculture. 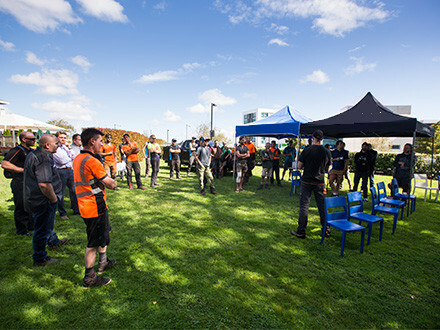 In 2017, STIHL brought Mark to New Zealand to host a series of workshops in Auckland and Hamilton. In each workshop he covered topics from ‘Ascending systems’ to ‘Forces in rigging and how to use that data’. He also discussed ‘Doubled rope work positioning’ and ‘Stationary/single rope positioning’. The response from attendees for the free workshops was really positive across all the STIHL SHOP venues. 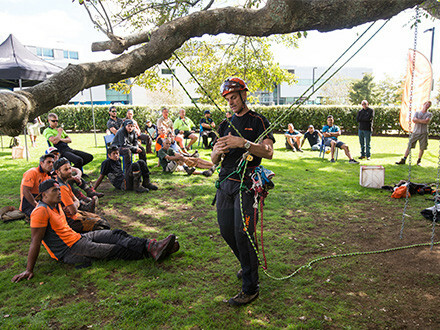 Seth Thompson of Tree Fellas attended the East Tamaki event and contacted STIHL to say - “Thanks for bringing Mark Chisholm over from the USA to present a free workshop on modern tree climbing techniques. Both myself and my team really appreciated the opportunity to attend, we learnt a lot, Mark was both professional and informative. It is really great to see a company giving back to its clients; I look forward to more events like this in the future. Once again, thanks STIHL." For more great Mark Chisholm content - please visit our STIHL NZ Youtube channel. 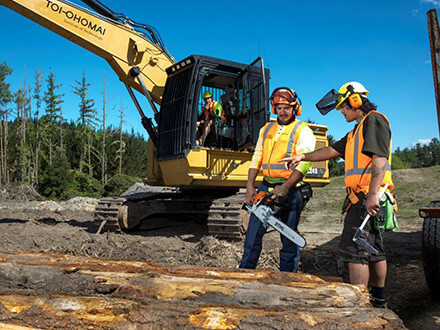 STIHL is proud to work with Toi Ohomai for over 10 years, to help train and grow workers in the forstry industry. Every student who has been trained on the Forest Harvesting programme at Toi Ohomai has been provided with a professional STIHL Chainsaw and a full set of STIHL PPE gear. 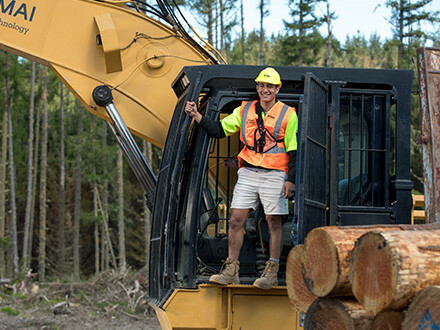 This has enabled them to enter the forestry industry immediately upon graduation, equipped with a high-quality Chainsaw and all the required gear to maintain health and safety standards. 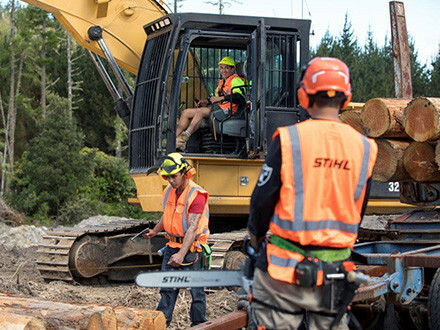 As a result, hundreds of new forestry workers have entered the industry representing both STIHL and Toi Ohomai throughout their career. Every two years all the forest operations tutors at Toi Ohomai also receive a new Chainsaw and PPE gear from STIHL, so they always look professional while teaching students. Tutors also receive free product training from STIHL thereby ensuring they have the knowledge they need about the company’s equipment. Occasionally, Toi Ohomai tutors are selected to trial new STIHL products before they are launched onto the market. The tutors in turn provide valuable feedback about the products’ pros and cons. Richard Stringfellow, Programme Area Leader, Forest Operations at Toi Ohomai comments on the relationship "For the past three years, STIHL and Toi Ohomai have worked together during Chainsaw Safety Awareness Week – travelling to different STIHL SHOPs across the country to train individuals in non-forestry industries on the safe and effective use of chainsaws. 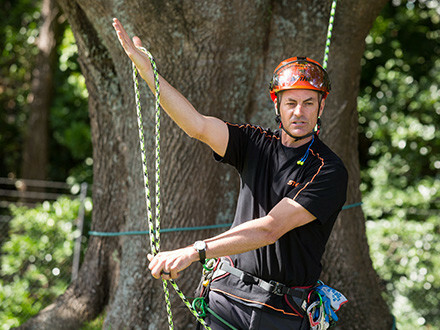 Toi Ohomai has participated in the STIHL Logger Sports competition at Fieldays ever since the partnership between the two organisations began. Teams of Toi Ohomai tutors and students compete against other professional forestry crews in both individual and team competitions." 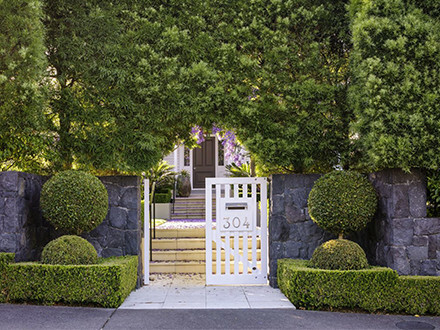 Humphreys Landscaping design and build stunning landscapes, as well as doing the ongoing maintenance of your garden to ensure it stays in great shape. 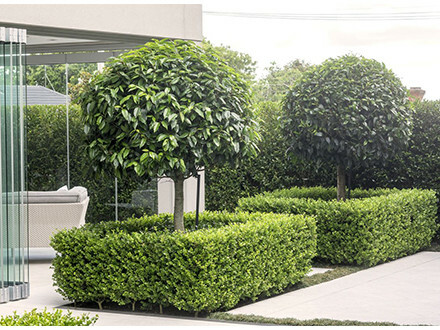 "Humphreys Landscaping has been a customer of STIHL SHOP Ellerslie for the past few years. 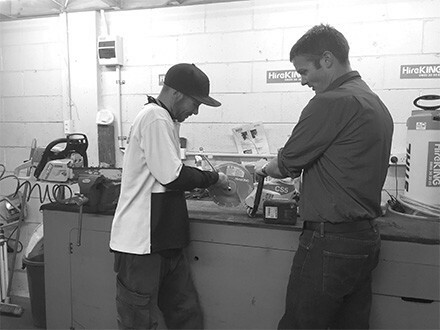 We purchase all of our STIHL equipment from the store and they do all of the servicing we require as well. We always receive excellent service, competitive pricing and a good understanding of our needs from the store. Store owner Phil Rollo has a real passion for his products, for his business in general, and for Humphreys Landscaping as a customer. Any issues are always sorted promptly and professionally. The STIHL products themselves live up to their reputation and this is supported with strong, sound after sales service from Phil and his team. We look forward to a long association with the STIHL brand and with STIHL SHOP Ellerslie." Click HERE for more of Humphreys Landscaping's great work! 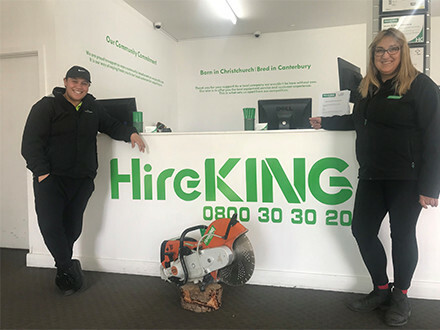 Hire King is a good example of the relationship that hire companies have with STIHL. STIHL has strong relationships with a number of hire companies around the country, providing a large range of tools and supporting those businesses in many other ways. Technical and product training is offered, so too a range of accessories that contributes to the success and enjoyment of the task for the customer. The strong national STIHL Dealer Network ensures equipment receives priority servicing and is returned and ready for hire as quickly as possible. STIHL can even provide vital information around total cost of ownership for each unit. For Fuel Injected and M-Tronic machines this can also be reported as cost per hours run time. So hire companies have access to the most accurate figures on the financial performance of their investment in STIHL tools. "Hire King enjoy their relationship with STIHL and find the products look after themselves at the coalface. 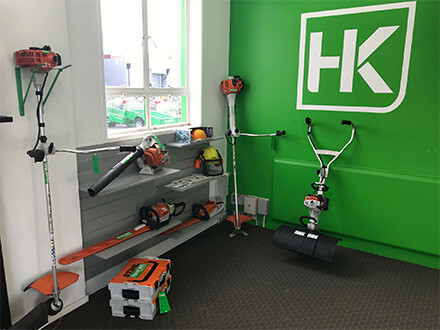 Customers frequently come in requesting STIHL equipment and never have any issues with Hire King’s brand of choice. The most pleasing aspect of recent times has been the performance and desirability of the STIHL TSA 230 Cordless Cut-off Saw. This is now in high demand as a hire unit and customers are continually amazed at its performance. 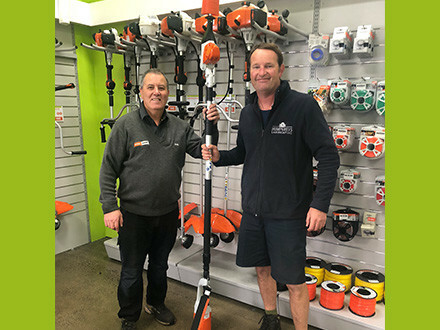 The availability of parts and accessories is also an important factor along with the support of the local STIHL Dealer."